Heritage's range of heated towel rails complement all types of bathrooms beautifully and range from the classically elegant to modern urban chic. 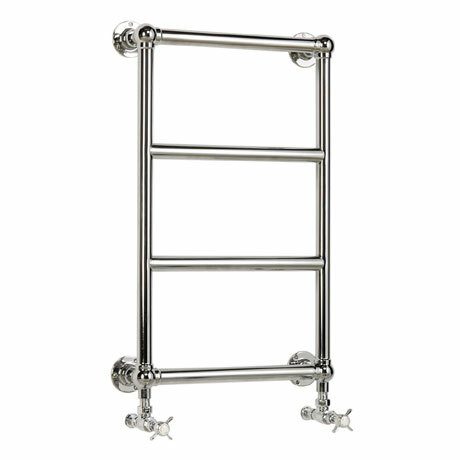 The traditionally styled Portland Wall Mounted Heated Towel Rail features a steel constructed frame which is plated in a durable chrome finish. Its wall mounted design makes it ideal for use in cloakrooms and en suites. Comes supplied with a pair of traditional chrome valves.